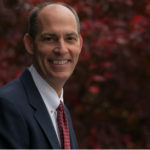 As society moves farther into the 21st Century, the civil engineering profession is becoming an increasingly global enterprise where engineers must become acutely aware of such international issues as climate change, sustainability, aging infrastructure, energy and water shortages, natural disasters, and the environment. Civil engineers have the opportunity – some would say obligation – to develop innovative solutions to these problems and elevate their professional standing on a global stage. A 7-day business trip to Australia and New Zealand by an ASCE delegation led by President Randall “Randy” S. Over, P.E., F.ASCE, provided the perfect opportunity to discuss technical and professional development with ASCE leadership in those 2 countries. 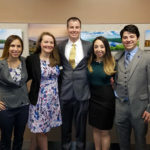 Accompanying Over on the trip, which took place February 10-16, were Executive Director Patrick J. Natale, P.E., CAE, F.ASCE, and Director of International Relations Meggan Maughan-Brown, MPA, CAE, CMP, Aff.M.ASCE. Held against the backdrop of the ASCE Region 10 Board Meeting in Sydney, Australia, the meetings allowed the trio to not only interact with ASCE members but with other international professional engineering organizations operating within Australia and New Zealand. Natale says the group discovered that civil engineering societies in both countries were well-versed with ASCE initiatives and wished to continue to collaborate and share with ASCE what they were themselves doing for the advancement of the profession. They found that the societies in Australia and New Zealand were willing to assist in fulfilling ASCE’s objectives, namely, the advancement of the science and profession of civil engineering to enhance the welfare of mankind. They also expressed interest in promoting the transfer of technology between Australia, New Zealand, and the U.S. through exposure to differences in their design and construction practices. 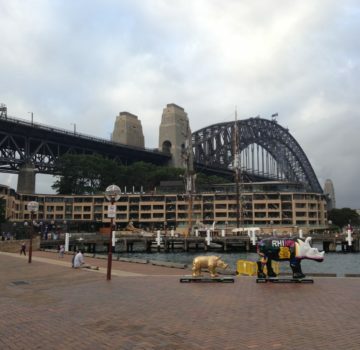 Arriving in Sydney on February 10, Over, Natale, and Maughan-Brown attended the Region 10 Board of Governors Meeting, which was chaired by Region 10 Director Himansu K. Banerjee, Ph.D., CPEng., F.ASCE. There was a full agenda to work through and interesting discussions were held on facilitating International Student Groups, forming Younger Member Groups within Region 10, and assisting international Sections in servicing their members around the world. In his presentation at the meeting, Over explained how ASCE’s Global Strategy was developing. Over gave a well-received presentation on “Infrastructure Planning – Where Are We and Where Do We Go from Here?” Members of ATSE asked many thought-provoking questions about ASCE in the Q&A session following the presentation. While still in Sydney, Natale had the opportunity to meet with Rory Brennan, the executive director of Infrastructure Investment Organization, and with Brendan Lyon, CEO of Infrastructure Partnerships Australia. 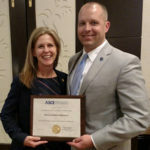 Both organizations shared ASCE’s need for infrastructure investment and expressed their desire to deepen their relationships with ASCE into the future. Before leaving the continent, Over, Natale, and Maughan-Brown met with Engineers Australia, an organization that represents all engineers, not just civil. Both organizations gave an update of their current strategies and discussions were held on how the organizations could better collaborate with one another. “We had some discussions with Engineers Australia on how the two organizations can work together in the areas of training, education, and conferences,” noted Natale. The U.S. group also visited the Heavy Structural Laboratory at the University of New South Wales. Mark Bradford, Ph.D., D.Sc., P.E., Dist.M.ASCE, a laureate professor in the School of Civil and Environmental Engineering, and research director in Centre for Infrastructure Engineering and Safety, led the visit and introduced his students to Over and Natale so that they could discuss the students’ research topics. “The Australia portion of the trip was extremely valuable as a potential business and learning opportunity and a chance to work with our colleagues in another part of the world,” stressed Natale. Over, Natale, and Maughan-Brown then flew to Christchurch, New Zealand, where the first item on the agenda was a meeting at the University of Canterbury Quake Center to hear about the major earthquake that took place February 22, 2011. Four presentations were made on seismicity, ground and infrastructure damage, response to the earthquakes, and rebuilding. Following the presentations, the group was taken on a walkabout around Christchurch to see the various remediation sites in the city. “The New Zealand part of the trip was focused on what happened in Christchurch after a number of earthquakes,” noted Natale. “We saw the work that civil engineers were doing to help the recovery, reconstruction, and evaluation of buildings that needed to be replaced. A meeting with the Institute of Professional Engineers New Zealand (IPENZ) followed, with representatives of the New Zealand Society for Earthquake Engineering, the Structural Engineering Society of New Zealand, the New Zealand Geotechnical Society, and the University of Canterbury Quake Center. IPENZ was particularly interested in discussing the issues of engineering education and licensure. The Royal Commission on Christchurch has made a number of recommendations in this context and IPENZ members were very keen to hear what ASCE was doing in this regard. IPENZ was very aware of ASCE’s Raise the Bar initiative and wanted the ASCE group to brief them on the Society’s stance on engineering education requirements for licensure and how to assess competence for licensure; use of certification for specific tasks; methods of assessment of competence; requirements for demonstrating ongoing current competence; and the design of engineering education programs, including specialization within the civil discipline. Fruitful discussions were held which will continue as the collaboration between the 2 societies increases. While in New Zealand, Over, Natale, and Maughan-Brown also made a visit to the University of Canterbury, where they visited the structural and hydraulics labs and where the students presented their research. The students’ research focuses on earthquake engineering, and several innovations they demonstrated hold promise for the future of Christchurch. On their last full day in Christchurch, the ASCE group was hosted by the Canterbury Earthquake Recovery Authority and taken on a technical tour to see the damage and remediation taking place in the greater Christchurch area. Of particular interest were the sites where liquefaction of the soil did extreme damage to local residential houses. They also saw the damage inflicted on the hillsides and in the greater Christchurch valley. At lunch with the Stronger Christchurch Infrastructure Rebuild Team (SCRIT) and the Christchurch Central Development Unit, the ASCE group learned how the organizations were involved in the recovery and remediation process and had coordinated their actions for the best effect. Before leaving, Over and Natale said ASCE will continue its involvement with these bodies through our Disaster Risk Management Committee and the TCLEE Committees.